Extending the prismatic, collage-like approach of A Monster’s Notes, Island of the Mad follows the hunchbacked, solitary Ambrose A from his days as a book-scanner in a digitizing firm’s dim basement office to his travels in Venice and his search for a lost notebook. As time and space become increasingly porous, he encounters such figures as Pontius Pilate, Titian, Dostoevsky, Mikhail Bulgakov, and Bulgakov’s resourceful devil, Woland. He also encounters the murderess Frieda, a walk-on character from Bulgakov’s Master and Margarita, who here resides on a plague island in the Venetian Lagoon as day after day she makes visitations to Ambrose and schools him in the facts of the Venetian Plague of 1575. Penitent, as isolate as Ambrose, her facts lead him into questions of ethical loneliness, tenderness, injustice, and ultimately what constitutes the human. After Frieda’s sudden disappearance, Ambrose comes upon the written traces of two former inhabitants of San Servolo, the Venetian lagoon’s old hospital island, commonly known as the Island of the Mad. One epileptic and the other suffering from Fatal Familial Insomnia, they spend their days together reading from Dostoevsky’s novel, The Idiot. 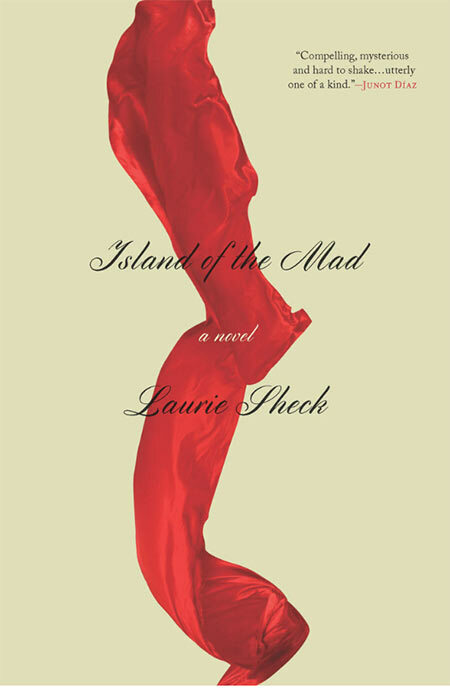 Fueled by the transformative, compelling dynamics of the internet, while at the same time deeply anchored in an ongoing conversation with past writers and thinkers, Island of the Mad radiantly explores the often contradictory, complex, nature of empathy as it turns the ordinary world inside out and shows us its glittering seams.